To make the switch to Wild Apricot Payments go to your Payments settings page by logging into your account and clicking the Settings menu, then clicking Payment settings under Finances. Between April 8-10, we hosted our very first Wild Apricot User Conference as part of Personify’s Annual user conference, PersoniFest. Appreciation Dinner and Persi Awards: During our Customer Appreciation Dinner we gave away an Innovation Award and an Impact Award to two organizations that we saw go above and beyond with their use of Wild Apricot. Wild Apricot Presentations: We presented half a dozen sessions on how to better market your organization, and how to implement some of our newest features (Mobile App for Members and Online Store). Personalized Support Sessions: Wild Apricot customers got the chance to sit down with one of our staff and ask any questions they had about their Wild Apricot account. For more details and to see pictures of the event, check out our blog post recap. You can control when the poll is automatically opened and closed for voting, and which types of members can vote. Currently, only members with a membership status of Active, Pending Renewal, or Pending Level Change can vote in your polls. 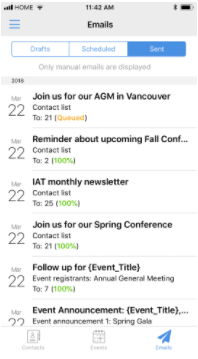 You can share your polls and surveys with your members by inserting links in emails or on your website. 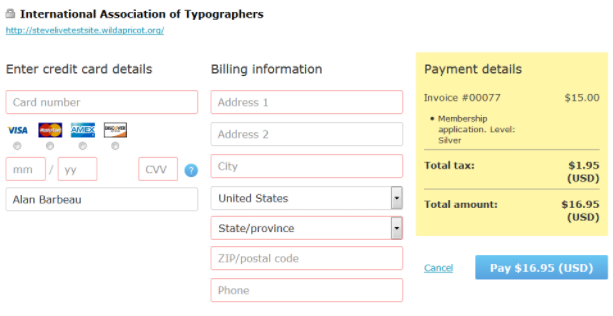 More functionality will be added to this feature after we collect feedback from our clients about this initial version. Click here to learn more about polls. A number of enhancements have been added to the online store feature. You can now sort orders within the orders list by order status and payment status, as well as order number, date, and billing person. 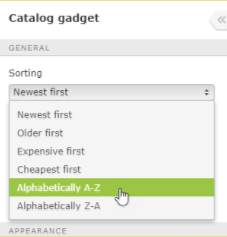 You can now control the order in which products are displayed in the product catalog. An email confirmation will be automatically sent to the customer when the order is fulfilled. 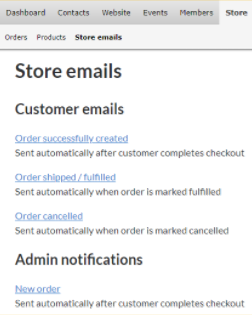 You can now customize each of the emails that are automatically sent when the status of an order changes. You can now cancel a fulfilled or unfulfilled order. Click here to learn how to set up the Online Store. Please be aware that you can’t use the app to modify an existing email draft or to view a log of automatically sent emails. If you love webinars, we found 48 free webinars for nonprofits and membership-based organizations to attend in May. Check out this whole list here. This is great, but unfortunately 2.9% isn't competitive with the volume discount from Paypal (2.2%). We run enough revenue where this represents a significant savings. 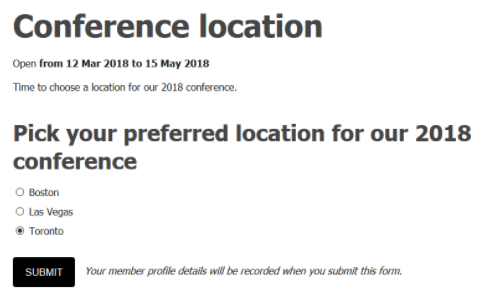 Dmitriy - Is adding a convenience charge to the invoices paid by credit card permitted by WA and/or Authorize.Net, conversely is a cash discount permitted if a fee for credit is frowned on? We want to allow payment by cards but don't want to take the 3% hit to or bottom line. I love the election and poll's feature. Thank you! Dewey: Good point, and thanks for bringing this up. I've shared it with the team. Richard: I'm looking into this for you. I thought that, at one time, long ago, it was illegal to charge more for a credit card transaction than for cash. Sorry, it was so long ago that I don't even remember when or where I got that impression, or if it was correct. Apparently if it ever was the case, it is not true now, since almost every gas station in some areas has a different price for credit vs. cash. Can someone provide insight into this? While 3% is a reasonable cost of business, our non-profit organization processes funds well into 6 figures annually, and the charge can sometimes mean the difference between profit and loss. Is the charge for AffiniPay 2.9% + .30 per each transaction in CAD or US funds? We are a Canadian non-profit. The fees are charged in whatever currency your account is using — so your fees would be in Canadian dollars.